This Weekend I Plan To: Attend The New York Times Travel Show in New York City! I am so glad I am in town this weekend and will be able to catch The New York Times Travel Show this weekend at the Jacob Javits Convention Center in NYC. Travel tends to combine ALL my loves: Music (during my journey), Photography (have DSLR will travel) and Foodie Adventures and I love checking out this show and finding out about new trends and exploring fun destinations all under one roof! Are you attending The New York Times Travel Show this year? If so, hit me up on twitter at @Tracy_Iglesias or @Ascending1 so we can meet up! What is the top destination on your travel wish list this year? FTC Disclosure: This is NOT a compensated post, all opinions are 100% my own! I will be attending the show as Media/Press. 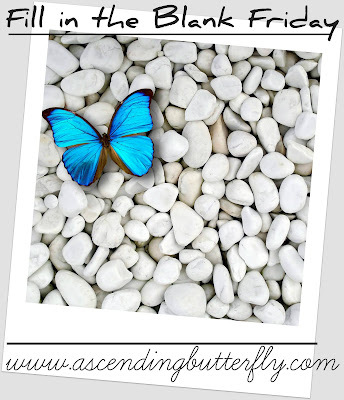 I am disclosing this in accordance with the Federal Trade Commission 16 CFR, Part 255 - Guides Concerning the use of endorsements and testimonials in advertising, you may check our Giveaway & Disclosure Page for additional information regarding Ascending Butterfly Disclosure. Things that lure this butterfly out of her cocoon: Technology, Travel, Fashion, Beauty, Spirits (Sparkling, Champagne, Prosecco, Sake, Bourbon, Craft Brews), Foodie Fun - really I'm such a *simple girl*.